Happy Friday and welcome back to day 4 of Stamp Highlights! 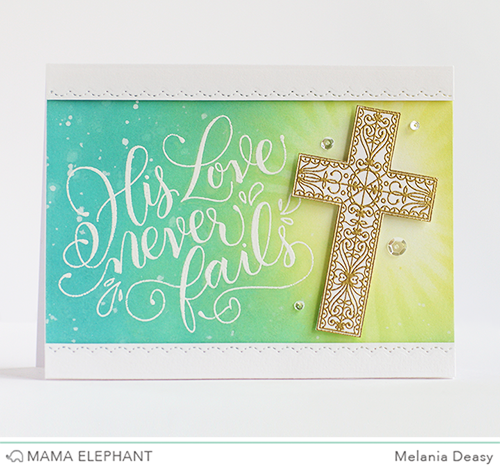 Today we are highlighting this gorgeous set, His Love. We love how Deasy used a ink blending technique to color the background. 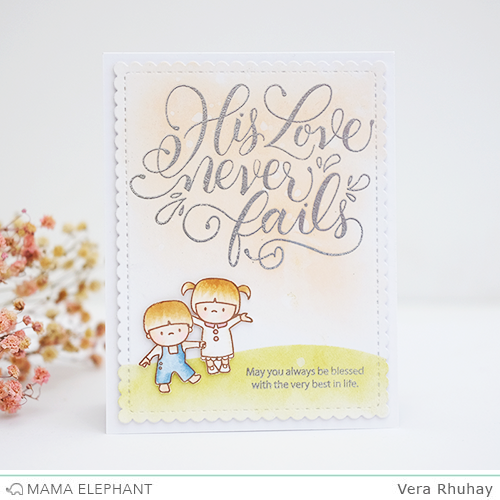 What a sweet card by Vera, with the little boy and girl from In My Heart set. 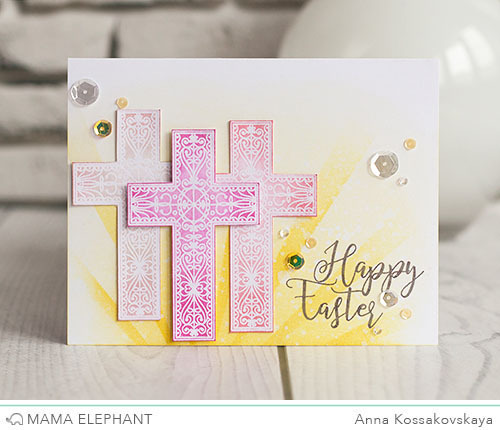 Here's an elegant Easter card by Anna with the small addition of Calli Letters. We love Laura's simple design using pretty pattern papers and diy felt flowers. 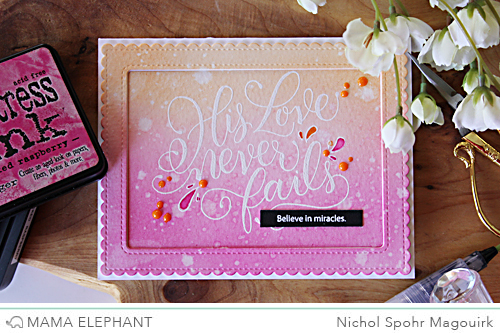 The oversized sentiment from His Love packs a big punch in this embossed resist card framed up with a Madison Avenue frame die. 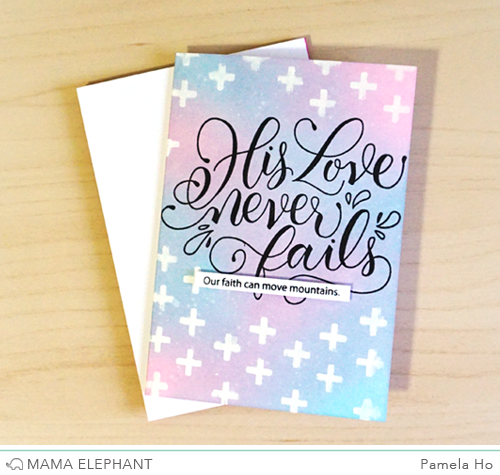 Pamela created a dreamy background for this large, bold sentiment! 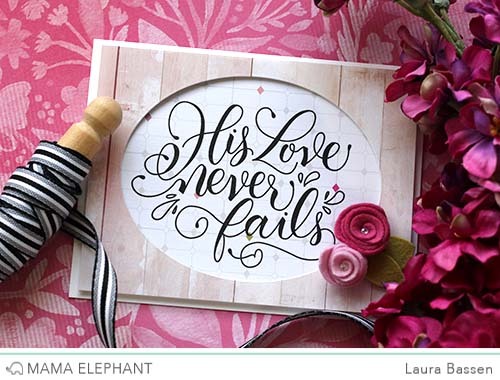 Beautiful additions to my bible journaling. I love this set! Can't wait to get mine! Thank you. These cards are beautiful! These are all so beautiful, good job ladies! Love this set! Love how that sentiment steals the show!! It's just beautiful!! Once again a fabulous job showcasing the set ladies! !